If you haven’t read about heartbleed bug, it’s pretty serious one you should know about. In a nutshell it exploits OpenSSL vulnerability to read system memory of computers/machines/applicances protedted by affected versions of OpenSSL. This means a hacker can steal your encryption keys as well as see unencrypted form of traffic that was encrypted. Talk about passwords, credit cards, any information you deemed secure and trusted only to an SSL connection! To obtain patch for your affected version, head over to KEMP Forums. You will find details to download the patch over there. Understand that this operation has impact on your production environment. 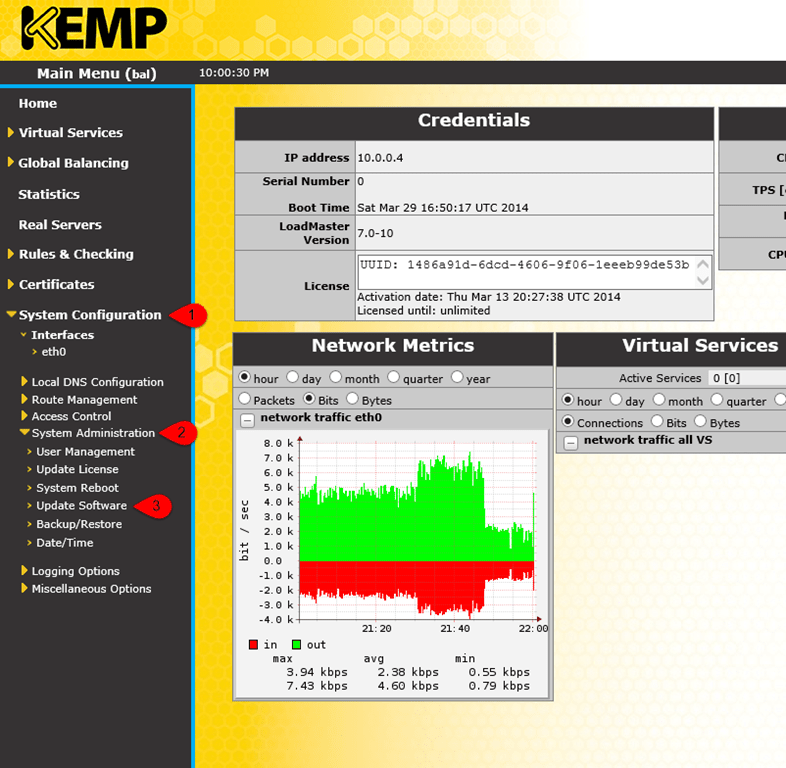 You will need to reboot KEMP LoadMaster after applying this patch. Follow the instructions and reboot when asked.